‘Firebird’ represents the peak of Poignant’s experimental period where he was actively seeking a freshness of expression through formalist means. While ostensibly not a dance image, this striking close-up of Pauline Wallace’s head is undoubtedly inspired by Stravinsky’s eponymous ballet with which Poignant would have been familiar with through his association with choreographer Linley Wilson. Poignant made numerous Ballet-Russes inspired studies of Wilson’s students as well as designing the lighting in a number of her productions. 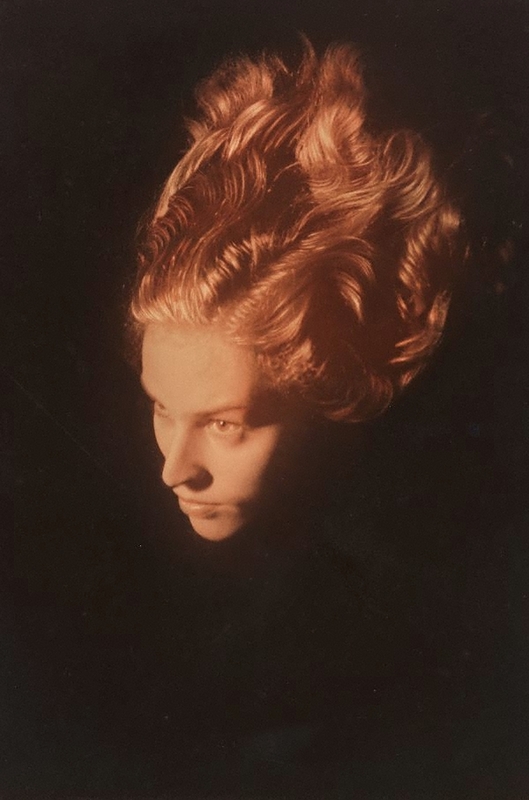 The harsh theatrical illumination emphasises the unexpected overhead angle, carving out the model’s disembodied head from the darkness to surreal and poetic effect. These devices were later incorporated much more subtly in Poignant’s documentary work and are symptomatic of the photographer’s tendency to condense the essence of the subject into significant details. Signed l.r. backing and l.r. verso backing, brown crayon "Alex Poignant". Not dated.